Why would you leave your native Hungary where you can replace tea with Tokaj and having it for breakfast? Regardless, Budapest transplant Gabriella Gera qualified as a sommelier in Argentina recently. After a stint at Florería Atlántico, she’s now woman-ing the cave at top meating place, Don Julio, in Palermo. 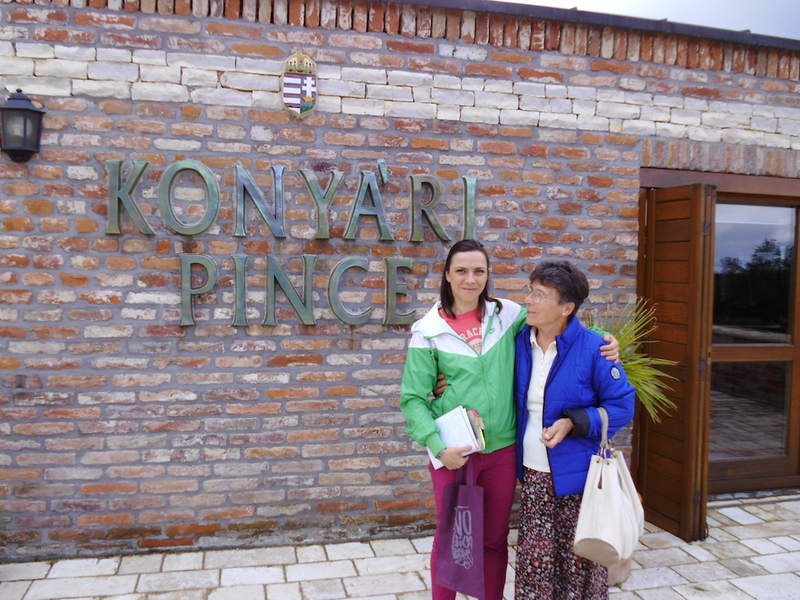 Sommelier Gabriella Gera and her mum Panni at a Hungarian vineyard. Crispy sweetbreads with Montesco Agua de Roca 2013. Moscato with a slice of fugazzetta rellena at El Imperio pizzeria. The southern shore of the Lake Balaton, the region of Balatonbolglár in Hungary, which is where my parents live. Fantastic white wines. The contact with people who share a love for wine. Sárga Borház Tokaji Eszencia 2007. Watching customers from a distance enjoying the wine I recommended. Once I filled in a test just for fun, and it said I’d be a Blaufrankisch. Don’t ask me why.